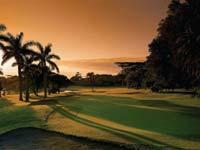 Zimbali Golf Course is another stunning 18-hole golf course in the Sun International Golf Resorts stable. 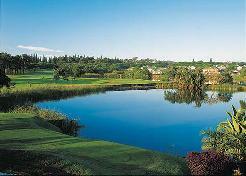 It offers a challenging round of golf of world-class standards and breath taking views. 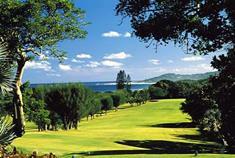 The golf course runs alongside the Indian Ocean and boasts spectacular sea views from the 14th through to the 18th. This adds to the scenic beauty of the course and compensates for the stiff coastal wind that sometimes blows causing the golfer the odd problem or two. 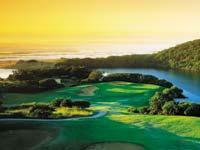 This Zimbali Golf Coastal Resort Course varies throughout its 18 holes. 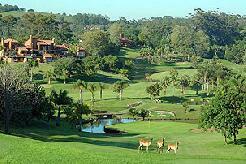 Starting off with a coastal links feel, the course takes a dramatic turn through rough rolling wetlands and ends up in the Zimbali Coastal forest. The course is a tough walk but fortunately golf carts are compulsory. 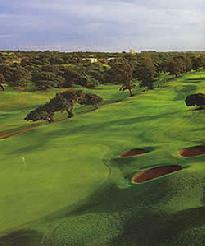 Most of the tees are high on the side of hills or sand dunes. 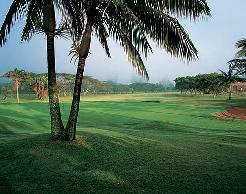 The fairways cut through the valley and the greens, seemingly always at the bottom of the next hill. 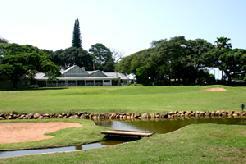 This makes judging distance a time consuming task, especially for those playing this golf course for the first time. 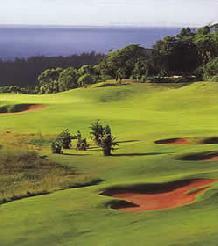 Tom Wieskopf, the designer of this Northern KwaZulu-Natal masterpiece and past winner of the British and SA Open championship, stays true to his philosophy of providing a fair challenge to golfers of any level.